We recently had dinner in the best restaurant in Sacramento...Mulvaney's B&L. It is in a wonderful old firehouse. The atmosphere is comfortable and unique and the food is creative, seasonal and fabulous. 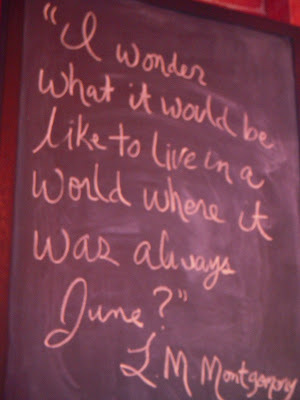 This quote was written on the chalkboard. I do love June but we are ready for July!